Fallon, who's hosting the ceremony on NBC, said Friday the public will be able to submit an introduction through Twitter for up to 15 Emmy presenters, or about half the celebrities who will be handing out trophies. 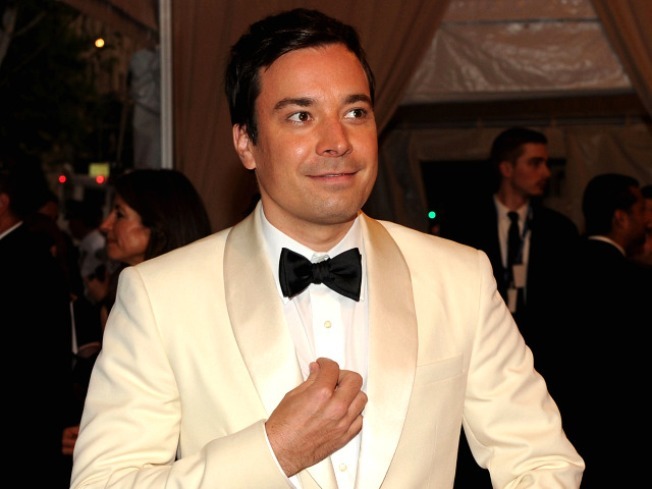 Jimmy Fallon wants your tweet to be part of the Emmy Awards. He'll read the best tweet as each star comes on stage. Starting Wednesday, a list of the presenters involved will be posted at NBC's website, along with a Twitter link to enter suggested introductions. Previously announced presenters include nominees Matthew Morrison of "Glee" and Jon Hamm and January Jones of "Mad Men." For example, Fallon said, he'll announce the chosen tweet, user name included: "(At)blahblahblah says Jon Hamm is the hottest guy of all time. Here he is, Jon Hamm," NBC's "Late Night" host riffed. The Emmys air live Sunday, Aug. 29, at 8 p.m. EDT, from the downtown Nokia Theatre.The planned three-hour ceremony will be live at 5 p.m. PDT on the West Coast and repeated at its conclusion.